The World Religions Primary Sources is a pack of 20 primary sources. Each primary source pack includes historical documents, maps, photographs, political cartoons, lithographs, diagrams, letters in a mix of color and black-and-white, and sepia finishes and is printed on sturdy 8.5" X 11" cardstock. 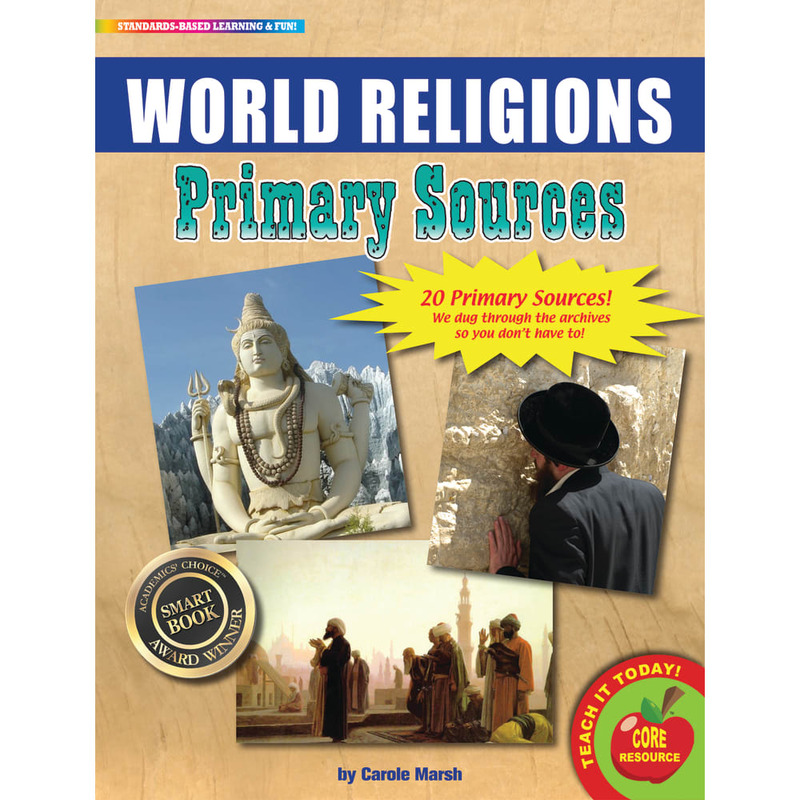 The World Religions Primary Sources are just what teachers need to help students learn how to analyze primary sources in order to meet Common Core State Standards!